Jim Parsons is the actor who plays the beloved nerdy yet the socially awkward character, Sheldon Cooper in Big Bang Theory. Unlike his on-screen character, the actor is quite affectionate. Well, Parson is gay and married to his long-term boyfriend, Todd Spiewak. The Big Bang Theory actor, Jim is very famous and has numerous fans who are curious to know about his personal life. 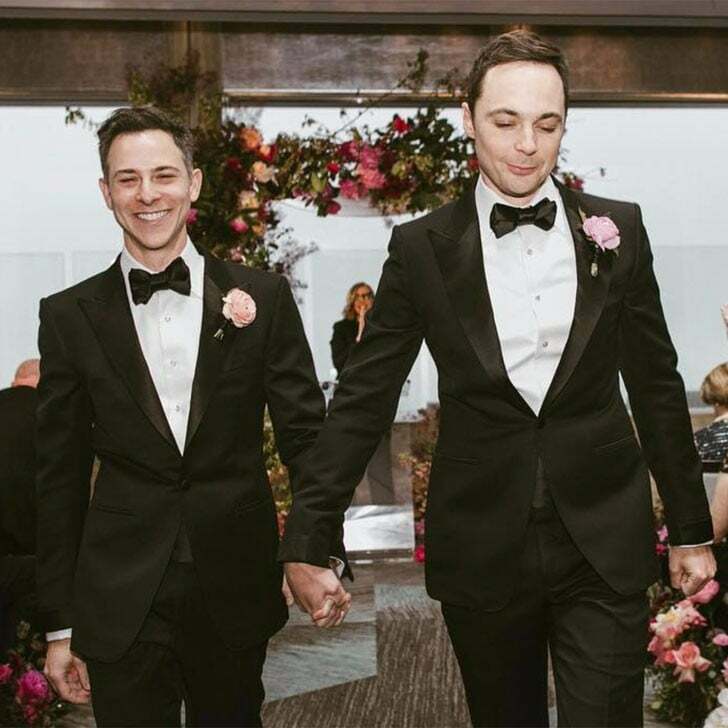 Today, in this article, we will be telling all about Jim Parsons' relationship with his boyfriend turned husband. Also read: Jim Parsons Net Worth 2018, What Are his Sources and Property Valuation of his Net Worth? It wasn't until 2012 that the actor came out as gay quietly through an interview which described Parson as "gay and in a 10-year relationship". It came as a surprise to many of his fans as he not only officially announced his sexual orientation but also revealed his long-term relationship. His reel life romance with Amy Farah Fowler, played by Mayim Bialik is quite famous but what about his real-life relationship with Spiewak? The couple first met at a blind date set by Parsons' best friend and Spiewak's boss. The two went to a Karaoke bar. It was interesting since Parsons hates karaoke. Spiewak even sang Cher's "I found Someone" at the bar. Well, that is quite the coincidence. Despite Parsons' hatred for the location, the two ended up dating each other. With time Parsons has become more open about his relationship with an art director, Todd through social media and interviews. The gay actor has posted many pictures with his now hubby Todd Spiewak on Instagram. One that particularly catches the eye is their fourteen-anniversary post where Parsons writes very dearly about his now-husband and states he is the best thing that happened to him. Isn't that the cutest? #Relationshipgoals. Check the post down below for yourself. The actor also declared Spiewak to be his favorite person on the whole planet during his 2013 Emmy's acceptance speech. 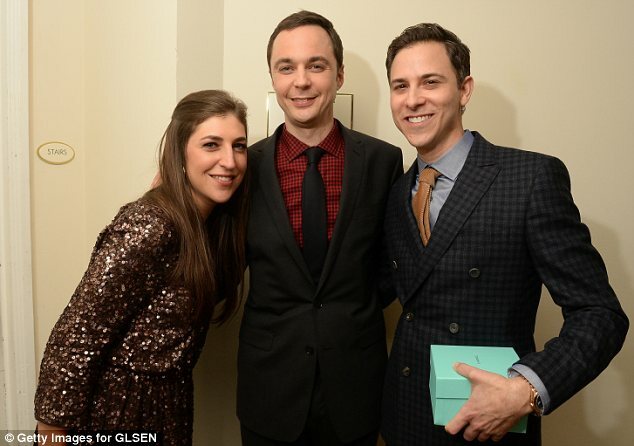 The couple accepted the Inspiration Award from the LGBT youth support network at GLSEN Respect Awards. The Big Bang Theory actor said his life was regular with boring love. Jim Parson believes his relationship with Todd Spiewak to be normal and driven by love, not activism. For Parsons, marriage was not an act of interest. The couple was not in a rush to marry. But then, the two finally decided to have a wedding and legalize their bond as said by Parson. Even though Parsons was not the keenest on getting married, he admitted it was much more meaningful than he initially expected. He stated that life was fine when their marriage as a gay couple was not possible due to legal reasons. However, being legally married has been proved to be an underlying buzz for the star. The couple seems to be very much in love and happy. Jim Parson has gushed a lot about his partner and the love they share. Parson and Spiewak have two white fluffy dogs namely Rufus and Otis. Rufus is a Shih-Tzu whereas Otis is a Maltese. Jim Parsons and Todd Spiewak share a beautiful bond. The legalization of gay marriage has been a blessing to many. Likewise, the pair chose to get married and are living happily.